SAVE THE DATE! 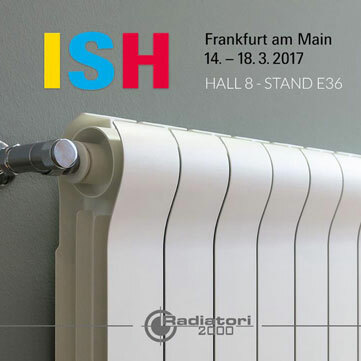 From 14 to 18 March, Radiatori 2000 returns to ISH, the bathroom and heating trade fair in Frankfurt. Discover all our 2017 NEWS in HALL 8 – STAND E36!